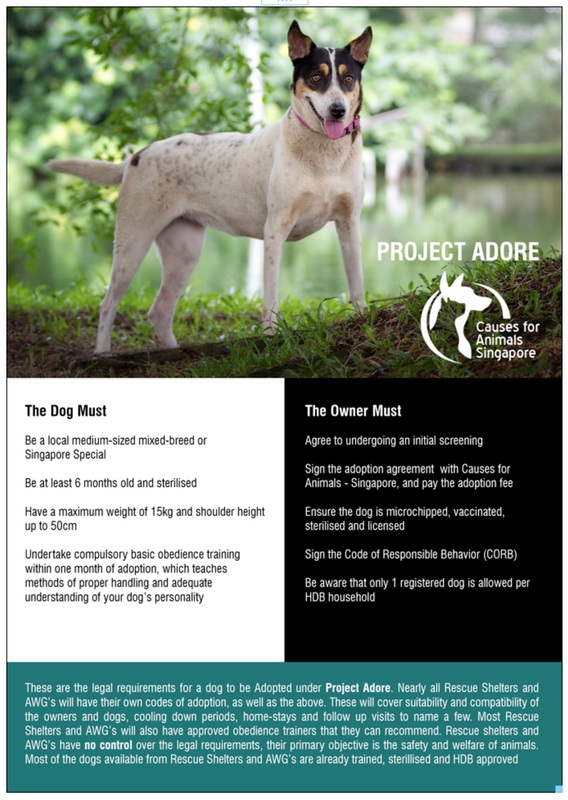 ​Cause for Animals Singapore (CAS) has several HDB approved dogs in need of homes to call their own! We have dogs between the age of 1 and 8 years old that would fit the lifestyle of various families! Please opt to adopt and save lives. Every adoption helps us take another animal off our streets and offer them a warm comfortable life away from the cruelty on our harsh streets. Please share this with friends and family looking for a HDB approved pet to be part of their families! Be a Hero, Adopt a pet!